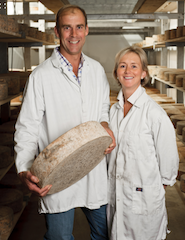 For a feature to appear in Issue 8 of Great Food Magazine, we travelled to Sparkenhoe Farm at Upton, near Market Bosworth, to meet Jo and David Clarke from Leicestershire Handmade Cheese Company. The fantastic pictures are by Andrew Brackenbury. Jo and David handmake (I mean really handmake!) 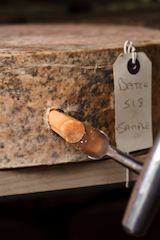 Red Leicester using milk produced by their herd of 150 pedigree Holstein Friesians. 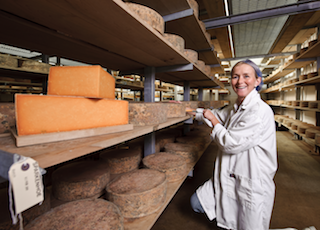 Their storeroom contains 26 tonnes of Red Leicester. Read all about it in Issue 8, out September 6.